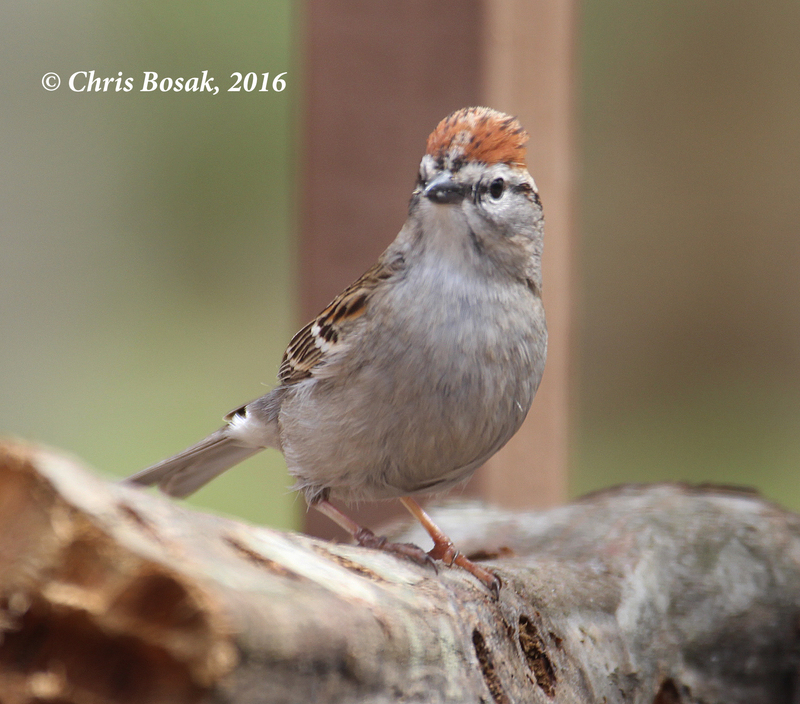 A Chipping Sparrow raises its crest while standing on a log in Danbury, Conn., summer2016. Here are a few more leftover photos from 2016. I like these photos because they show an interesting bird behavior. My new home in the woods is popular among Chipping Sparrows. They are very common in the immediate area, much to my delight. They visit my feeders and hang out among my trees. Sometimes, however, one gets agitated about something or another. Maybe my cat got out and was around; maybe Blue Jays or crows were around; maybe it knew I was close by with a camera. Whatever the reason, this guy or girl wasn’t happy at the moment. 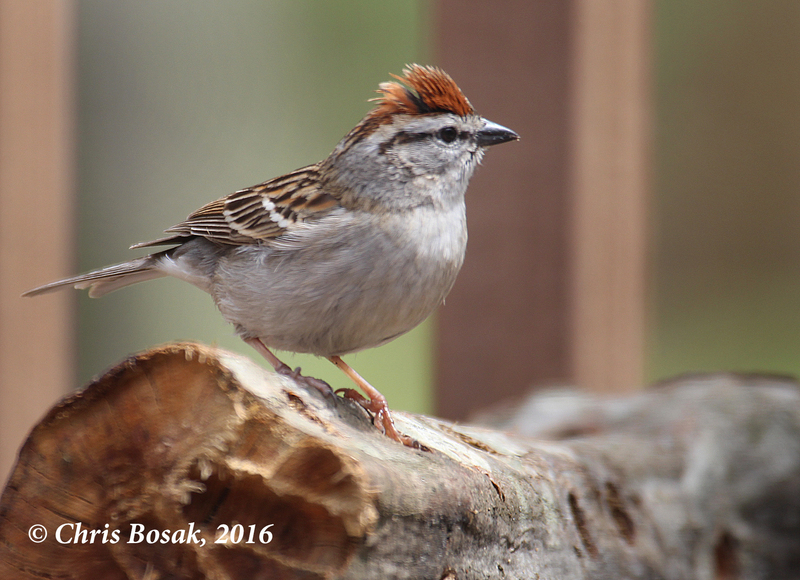 This entry was posted in backyard birding, Sparrows and tagged Chipping Sparrow, Chris Bosak bird photos by Chris Bosak. Bookmark the permalink.